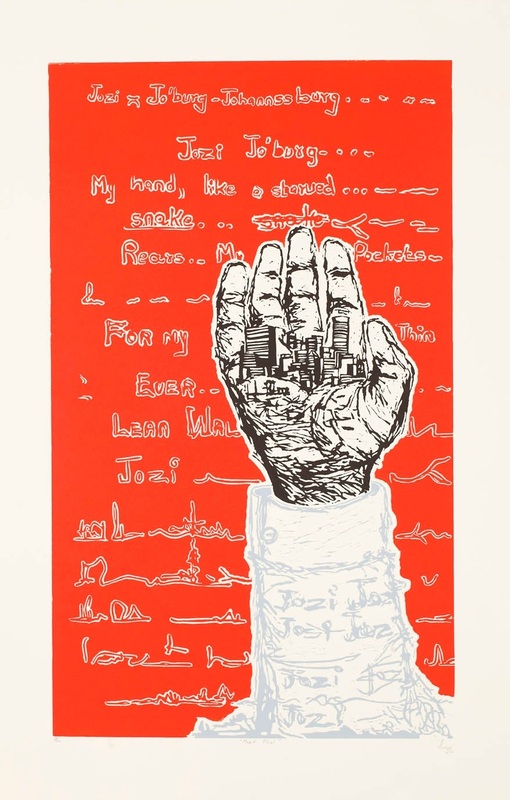 Syracuse, NY – The Syracuse University Art Galleries is pleased to present Arts on Main: Contemporary Prints from South Africa. This exhibition features a selection of prints, drawings and works on paper made by emerging artists working at David Krut Projects in Johannesburg, South Africa. Eighteen works from eight artists will be on view, including artists Diane Victor, Deborah Bell, Locust Jones, Senzo Shabangu, Faith 47 and Jürgen Partenheimer. Arts on Main refers to the Maboneng Precinct, the creative hub of Johannesburg’s new art neighborhood, where an urban community has become the center of artistic collaboration. Curated by SUArt Galleries Director Domenic J. Iacono, the artwork on display was selected from the collection at David Krut Projects, NYC. Presented in conjunction with the exhibition William Kentridge: The Nose and Other Subjects, this display continues the yearlong celebration of international art and artists at the Syracuse University Art Galleries.